In size, capacity and construction the VCN1604 has been our professional flagship for more than a decade. The complete structure is based on our full Structofoam chassis, 100mm heavy duty castors and rotating corner protectors, a tubular epoxy-coated steel superstructure, deep and generous adjustable tray units, 4 x 5-litre top pails and universal waste system providing a single 120-litre waste disposal. 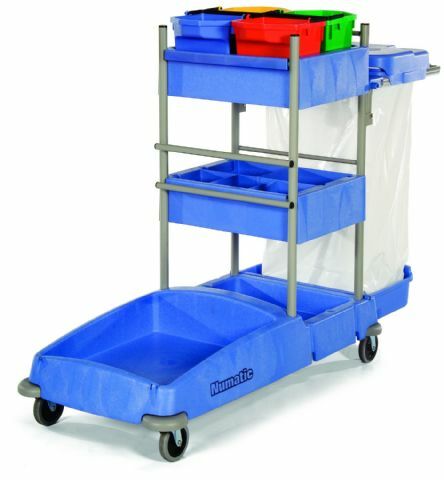 The waste system is easily folded for compact storage.